Smart speakers and smart displays with Amazon Alexa and Google Assistant support have been discounted pretty much everywhere for Black Friday and Cyber Monday, but if you couldn’t decide what to purchase back then, Best Buy makes it easy for you to choose today. For 24 hours only, the retailer has the 10-inch Lenovo Smart Display on sale at a whopping $90 off its list price. 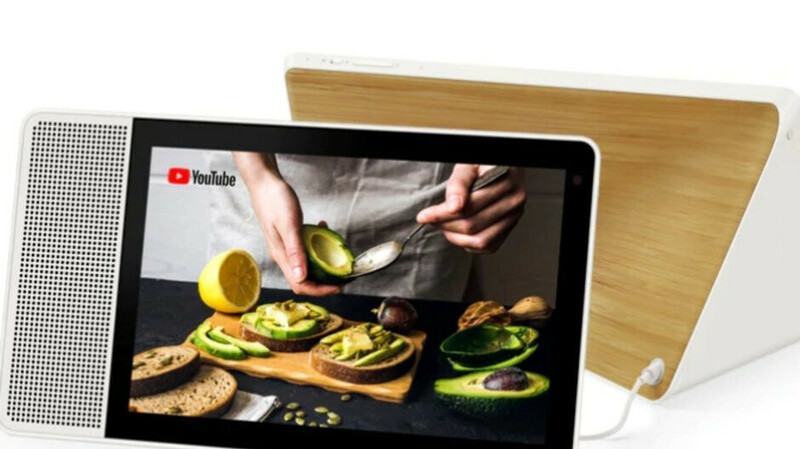 Typically available for $249.99, this Google Assistant-powered bad boy costs $159.99 at the time of writing in a swanky white front/bamboo back combo. That makes it substantially cheaper than Amazon’s $230 second-gen Echo Show, as well as a measly 10 bucks pricier than the Google Home Hub right now. But the Home Hub comes with a smaller 7-inch screen and no camera, although privacy-focused shoppers may actually consider the latter omission a strong suit. Of course, the 5MP wide angle front cam on the Lenovo Smart Display 10 can be great for keeping in touch with family this holiday season, supporting hands-free video calling on Google Duo. Your 160 bucks will also buy you a pretty impressive pair of 10W full-range speakers rivaling the performance of LG’s recently released WK9, which currently fetches no less than $250. Google Assistant can make your life a great deal easier with this affordable Lenovo device, providing answers for all your questions, playing YouTube videos and various other types of entertaining content, and helping you more easily manage your smart home. Keep in mind that the $159.99 10-inch Lenovo Smart Display is a doorbuster deal valid today only. Namely, until 11:59 pm Eastern Time. The camera on the Lenovo has a physical shield that can cover the camera with the motion of a slide switch, which is on its side. So privacy concerns are full covered. Not to mention the Lenovo right now has the highest resolution display compared to all the current smart display devices on the market. It's a great deal at that price.